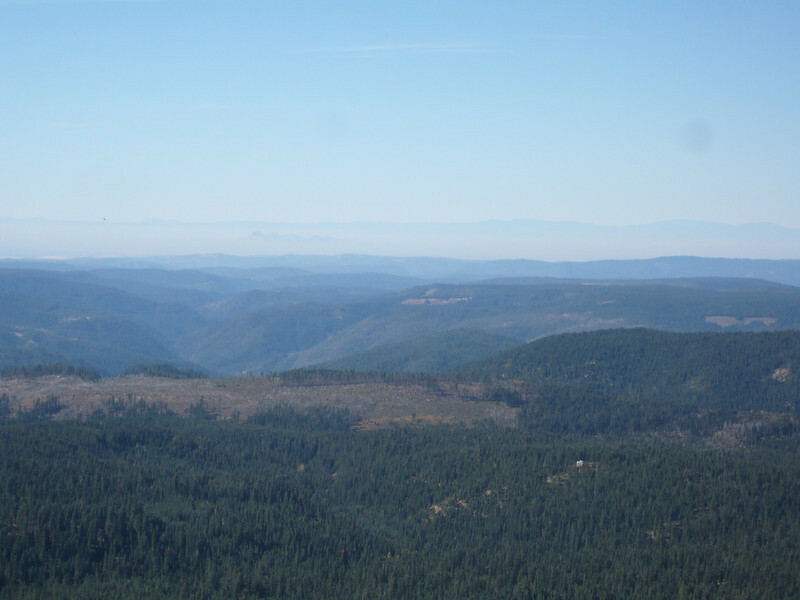 Looking to the west, the Sacramento Valley is under the haze and the coastal range is visible beyond the haze. The tops of the Sutter Buttes are visible poking up through the haze from the Sacramento Valley (1/3 of the way from left edge). The buttes contain five different SOTA summits: W6/CV-001, 004, 007, 008 & 011.